"Hey, we give Cleveland major props. It's very easy to do that," said certified star and Oscar-winner Mathew McConaughey at the Toronto International Film Festival. TORONTO – With White Boy Rick making its world premiere at the 43rd annual international film festival here, naturally we had to ask some of the principles involved if they enjoyed their days and weeks in Northeast Ohio, which stood-in for surroundings in and around Detroit, where the true story took place. “Hey, we give Cleveland major props. 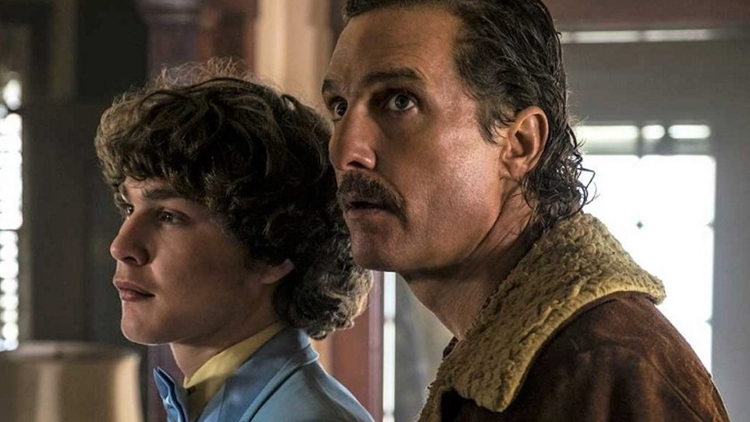 It’s very easy to do that,” said certified star and Oscar-winner Mathew McConaughey, who plays Richard Wershe Sr., shady dad to the young “Rick” in the title (played by newcomer Richie Merritt). Awright, awright, awright then, let’s move on to first-time first feature director Yann Dermange, who heaped a ton praise on our town and its people. “You know, I spent seven or eight months there, and some of it in the dead of winter, when it was tough for this London boy as the wind blows in off the Lake at 2 o’clock in the morning. TIFF will show White Boy Rick's last of three public showings Friday afternoon, the same day it opens everywhere in North America. Two other festival films with local connections actually met with a bit of controversy here. In fact, one of them, Galveston, from Chagrin Falls producer Tyler Davidson, never saw the light of day (or night) at TIFF. That’s because festival officials pulled it when they learned that “work commitments” got in the way of anyone attending the “Gala Presentation” for the Melanie Laurent-directed film (which stars Ben Foster, Elle Fanning and Beau Bridges). The other, A Million Little Pieces, is based on the drug-addiction best-seller written by Clevelander James Frey, whose book was picked up by Warner Bros. in 2003. However, the studio quickly backed out when accusations claimed that Frey made up key parts of his alleged memoir, which even had become an “Oprah’s Book Club” choice. Now, enter director Sam Taylor-Johnson (“50 Shades of Grey,” “Nowhere Boy”) and her actor-husband Aaron Taylor-Johnson (“Nocturnal Animals,” “Nowhere Boy”) in a true family venture that has Sam directing, Aaron starring (as Frey) and the two of them co-producing and co-writing the world premiere here. Please return here Friday to see how some other working Clevelanders fared in watching and choosing films at this year’s TIFF, which runs through Sunday.